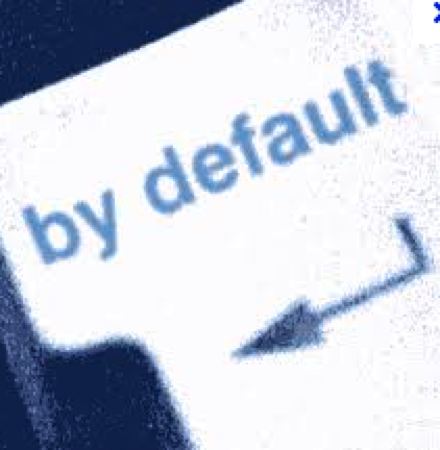 What the Heck is a Default Judgment? California community associations have been filing a lot of lawsuits the last three or so years attempting to collect delinquent assessments. Usually, these lawsuits are filed against owners that have lost their homes to their lender in foreclosure, wiping out their condominium development’s or planned development’s assessment lien. These associations are left with only a judicial remedy to collect what is owed their association. In California, if a defendant in a lawsuit does not file a timely responsive pleading to that lawsuit after they have been served (e.g., answer or demurrer), a default can be entered by filing what is called an Application to Enter Default. In assessment collection lawsuits, many delinquent owners (most are former association owners) fail to respond to the complaint, allowing these claims to go by default. After entry of default, the defendant loses the right and ability to defend the lawsuit, and the plaintiff community association can then seek a default judgment. After the default has been entered, the plaintiff association then has to “prove up” the default in court and allow the judge to enter default judgment. The court cannot enter a default judgment just because the delinquent former owner failed to respond to the lawsuit. The association has to establish or “prove up” that it is entitled to the money it is seeking to collect. For community associations, because the obligation is pursuant to a contract (the CC&Rs), collection lawsuit default judgments can be entered by the court clerk, and usually no court hearing is required. Properly stating the amount of money owed (the unpaid assessments, late fees, interest as well as costs and attorneys’ fees) and the entitlement to those monies in a complaint as well as in the default prove-up package is crucial because the law is clear that in default proceedings, the relief granted to the plaintiff association cannot exceed those amounts. This is especially important where the request for default judgment is being made to a clerk. So the next time you see a request from the attorney for a declaration or information or a billing entry for preparing and filing the default judgment paperwork, you will know what that is all about. How can the association collect that default judgment once it is entered by the Court, you ask? That is the subject for another article.